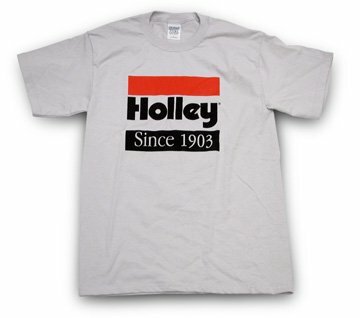 Cotton blend preshrunk t-shirt in gray, with the Holley logo screened in two colors. These are now limited to stock. Get yours now before they are all gone!